One of our favorite trees! 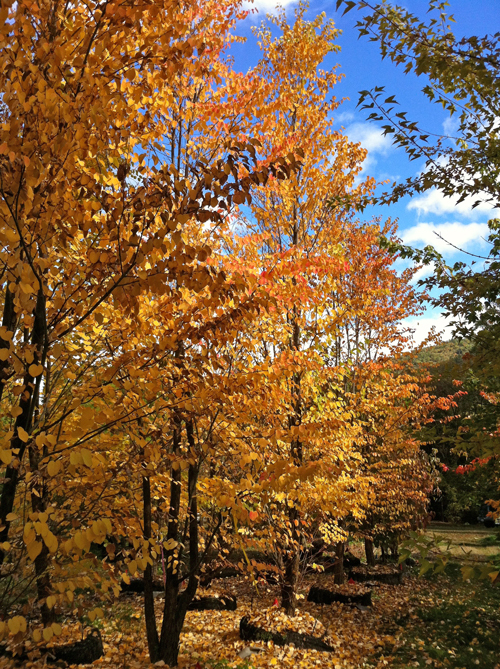 The deciduous foliage is always fresh looking, with blue tones and tints of red throughout the growing season. Beautiful spring growth is purple-bronze; in fall, expect clear yellow with orange and red tones. The Katsura leaves, hanging on short petioles, react to the slightest breeze like aspen leaves. The foliage has a wonderful, tantalizing fragrance like cookies baking. That spicy scent gives the Katsura the common name of Gingerbread Tree. A handsome, elegant tree, with a light branch and leaf pattern, the Katsura Tree often takes a multi-trunk form. 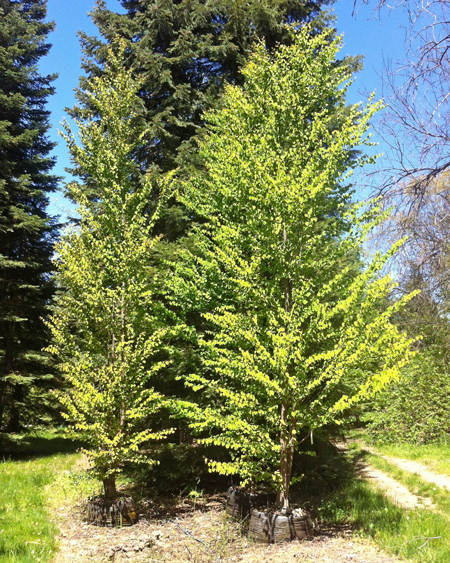 Growing at a medium to fast rate, the Katsura's mature height can reach 60-100ft. Plant it in sun or light shade, in rich, deep, moist soil. Not drought tolerant, it requires supplemental water during hot dry periods. Protect it from hot, drying wind. We do not ship small orders due to the prohibitive cost of shipping live plant material. Pricing and availability are constantly subject to change! Categories: All Plants, Deciduous, More..